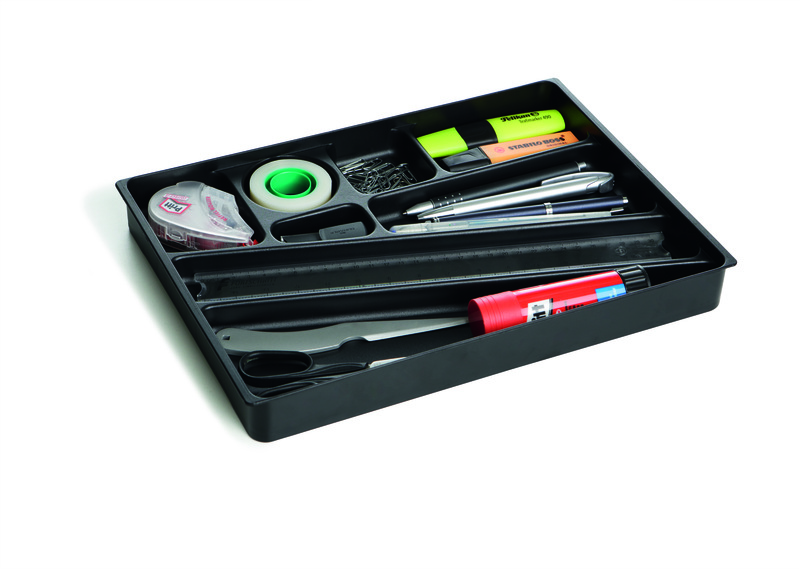 This Durable Desk Drawer Organiser lets you organise your workspace more effectively with eight compartments designed for common office stationery. It includes long compartments for your pencils, pens and rulers, plus smaller compartments for staples, paperclips and sticky notes. 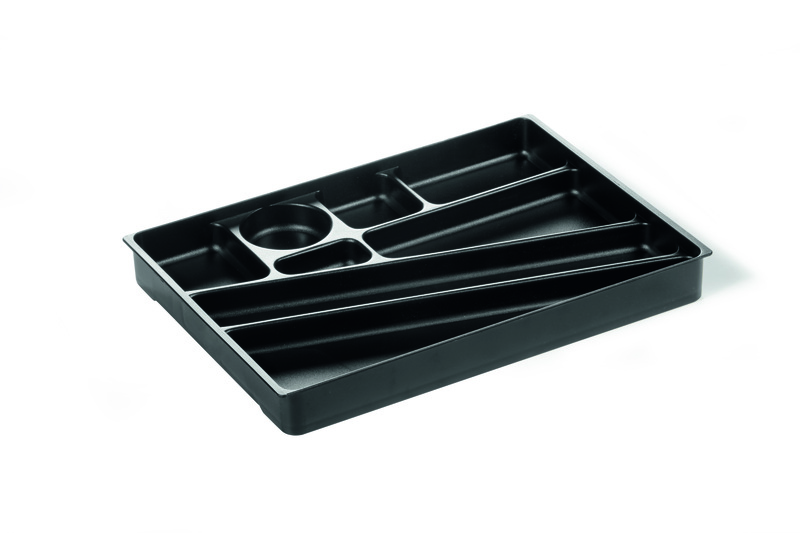 This black organiser measures W240 x D340 x H36mm.